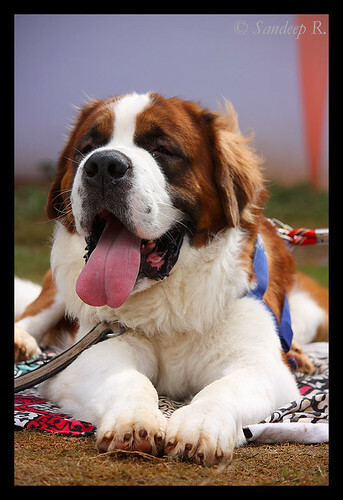 I was at the 16th all breeds championship dog show organized by Bangalore canine club on Saturday. I’ve been frequenting dog shows in Bangalore for nearly a decade now, this was my first time photographing. 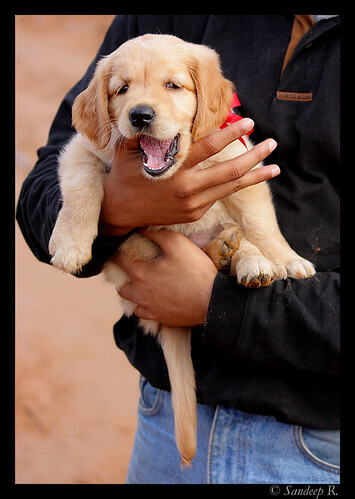 I just loved a golden retriever pup. Pretty owner or pretty dog? A tiny (about 1in wing) butterfly flew into the living room in the evening and was perched for a long time on Tuffy’s bed. Thankfully he didn’t notice and i took a few snaps. I’ve seen a few moths coming in at times, but this was the first time i saw this tiny beautiful butterfly fly in. Janapada jaatre programme aimed at taking folk culture of villages to cities was organized for two days, 8th and 9th November, at Lalbagh. 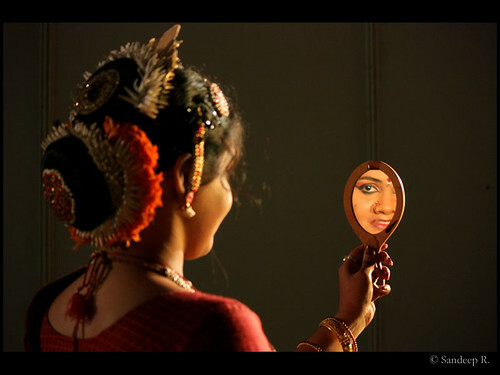 I was there last evening along with members of BWS, and captured few moments as the artists applied makeup backstage, and their performance on stage. 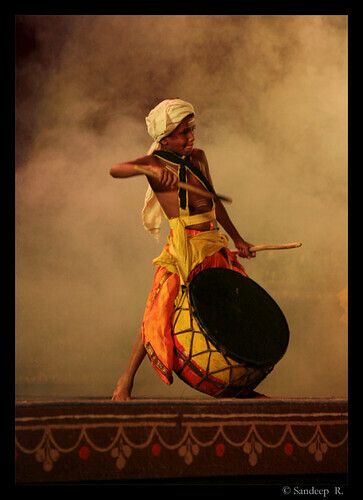 The event was fun, a riot of colors, folk dance and music. Went to MTR for dinner from there, and were lucky to get the 8:30pm batch coupon. Entree was excellent, but didn’t enjoy the main course. 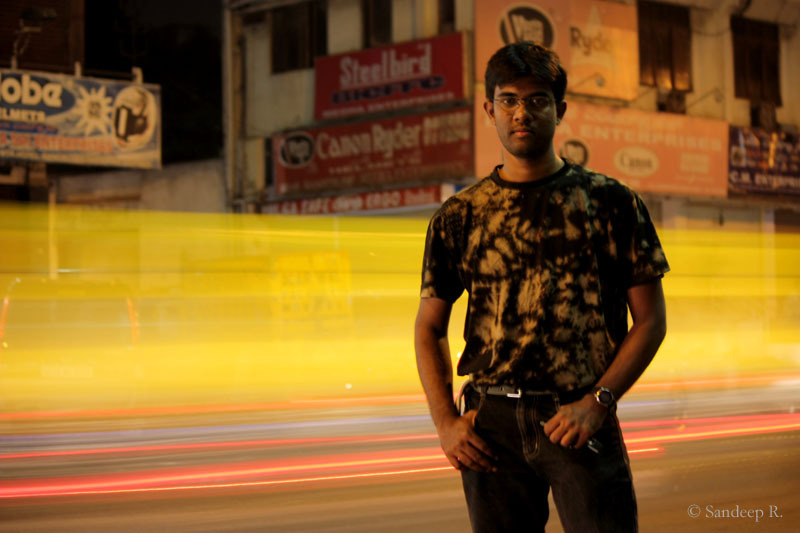 Then, tried some experimental, long exposure photography with my friends as models. Here’s a snap, thanks to Karthik for posing still.